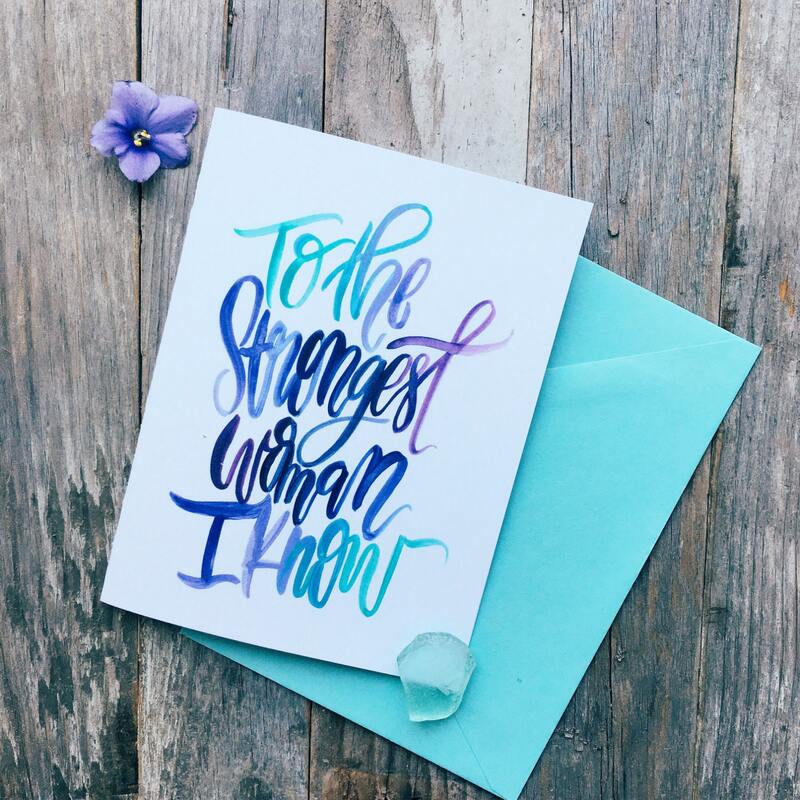 This lovely blue ombre keepsake watercolor card is part of our 'Sea Glass' Mother's day collection! 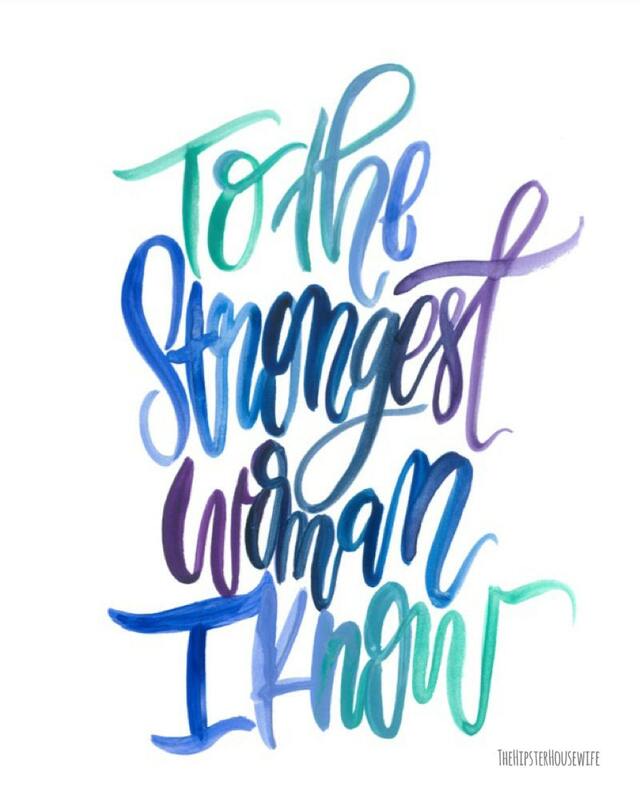 It let's mom know exactly who the strongest women in your life is - HER! Professionally printed on heavy weight card stock at my local print shop. 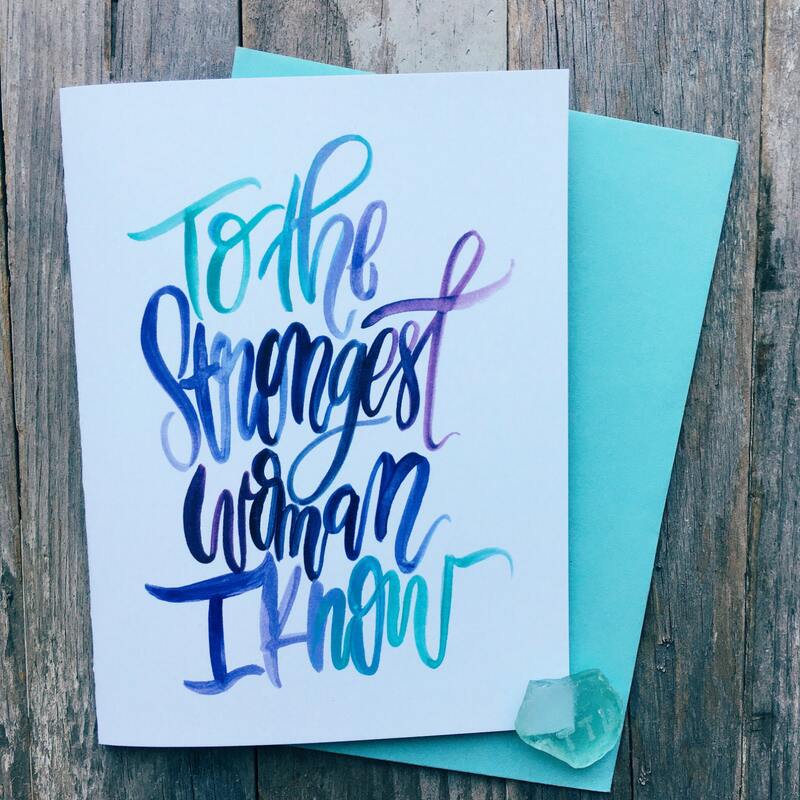 Includes aquamarine french point envelope and free scripture card. A6 sized. Envelope addressing available! Message me before purchase for details. Also available as a print. Message me for details.